Vineyard Oak Dressage Training lessons are personally instructed by Stacy Sutton, from the beginner rider wishing to learn correct basic riding skills to the competitive minded rider who strives to actively compete in Dressage or Breed Shows. Stacy enjoys specializing in both the amateur adult rider as well as young riders (ages 6 thru 18 years old) from Introductory to Second levels. Stacy takes into consideration that riders come in all builds, body types and abilities, and her instruction is tailored to each rider's capability and riding goals. available to riders and those wishing to eventually purchase their own horse. Trailer-in students are always welcome. 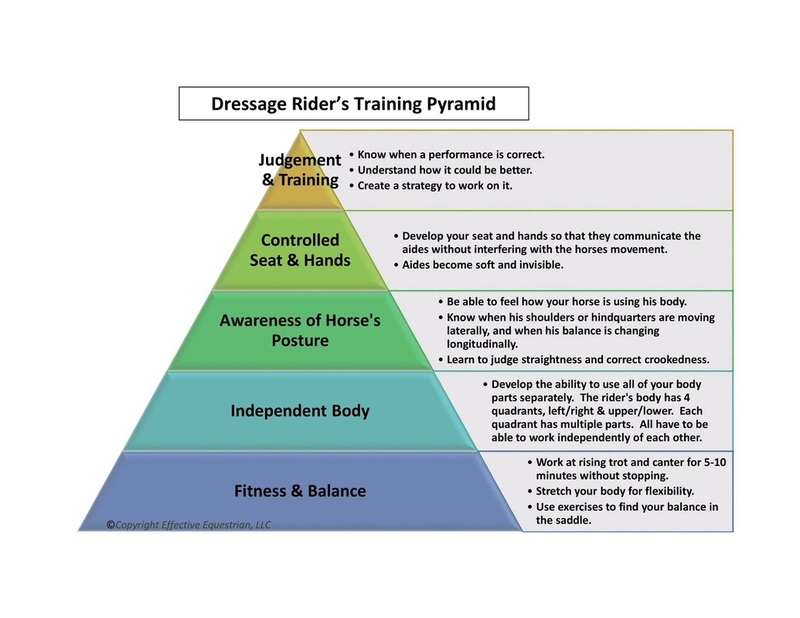 as what she teaches applies to all forms of correct riding and equitation. It's up to the individual whether the training focus is on competition or simply improving communication and riding skills. Either way, Stacy provides a safe, friendly and motivating environment to help students achieve their goals. Stacy has several Full Training and outside students who enjoy competing their horses, or have Stacy personally campaign their horse for them. Not only does Stacy love supporting her students and clients competitively, but she also enjoys the camaraderie of going to shows. Stacy and her students enjoy working together, helping each other, celebrate successes, and have fun dinners at the end of a long day of showing. It is a fun part of the whole experience. 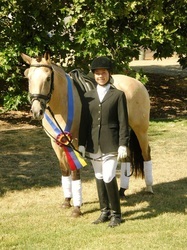 Throughout the season, both the adults and Jr. riders enjoy attending many local Schooling and Rated Dressage Shows. 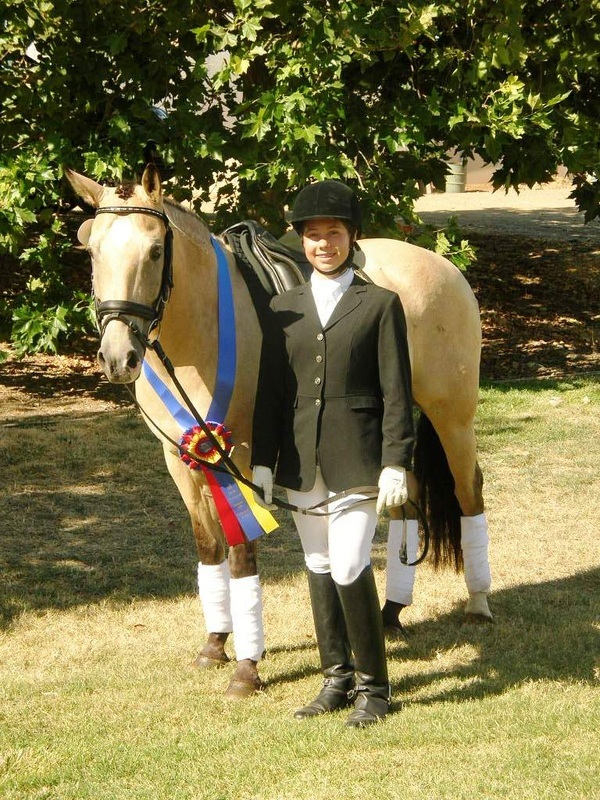 We are conveniently located 10 minutes away from the Starr Vaughn Equestrian Center which hosts several 3 star and CDI shows, and the Rancho Murieta Equine Complex which hosts the CDS Northern Jr. Championships, 3 star and CDI shows. Stacy takes special care to school competitive riders and horses to feel comfortable and capable in the show setting, and emphasizes enjoying the entire process. 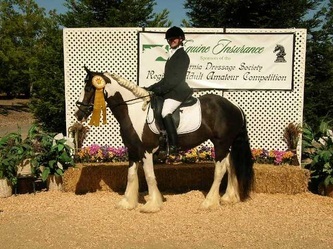 For the Gypsy Horse, Stacy and her students attend both the open Dressage shows and Gypsy Breed Shows including out of State. We also attend fun promotional events, parades, and riding demonstrations with our Gypsies in order to showcase them and educate the public about the Gypsy Horse breed. For Stacy, one of the most rewarding aspects about instructing is seeing her students grow through their love, respect, and commitment to the horses. This process creates more joy and confidence within the student and is reflected not only with the partnership of their equine friend, but in all areas of their lives. “Thank you for the great lessons! You keep a very professional and tidy operation! I like how everything is labeled and has its place, and how well-organized and cared-for the equipment is. I especially appreciate all of the precautions you have taken to ensure the safety of both the riders and horses. I can tell that safety is something you have put a lot of thought into. Although I might have decent body awareness and flexibility from practicing yoga, it is thanks to your keen knack for describing the sensations I am feeling in the saddle that make learning with you such a valuable experience. You have a real talent for putting strange new sensations into words that make it "click" in my mind. You also have a sharp eye for subtle details of body positioning, and are able to guide me toward changes that make a tangible difference in how balanced I feel in the saddle. 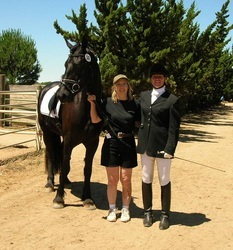 I feel very lucky to have found you as my riding instructor.” K. Yin, Sacramento, CA.